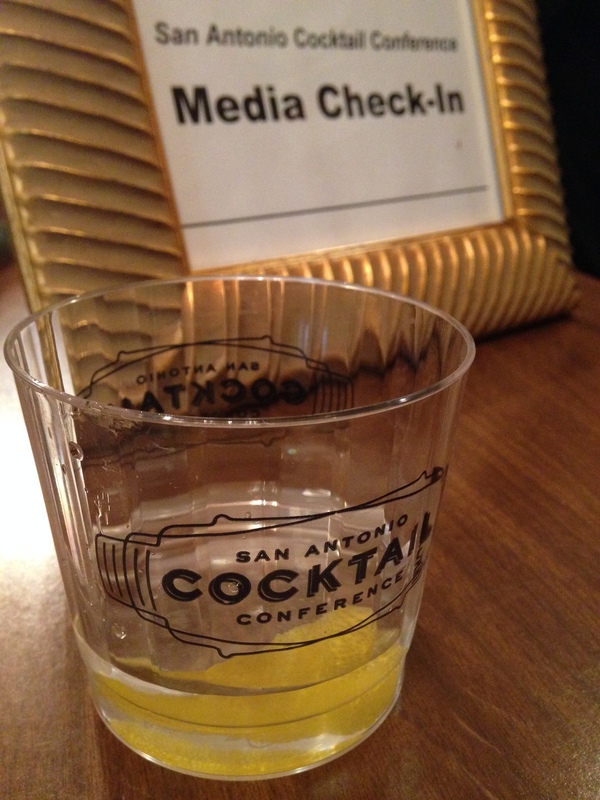 Well I survived the San Antonio Cocktail Conference for 2014 and I have finally sobered up enough to write about it. I was initially invited to attend the San Antonio Cocktail Conference because of my writing for Bourbon & Banter, (and for full disclosure I should let you know that they paid for my ticket and my hotel room,) but I can’t go to something like that without bragging about it to my Queen City friends. The four-day event consisted of educational cocktail sessions lead by some of the biggest names in the industry during the day and amazing parties each night where spirit brands had their own bartenders whipping up cocktails to show off their products. A full recap would take far to long so I decided to pick seven stand out cocktails from the weekend as a way of telling the story. 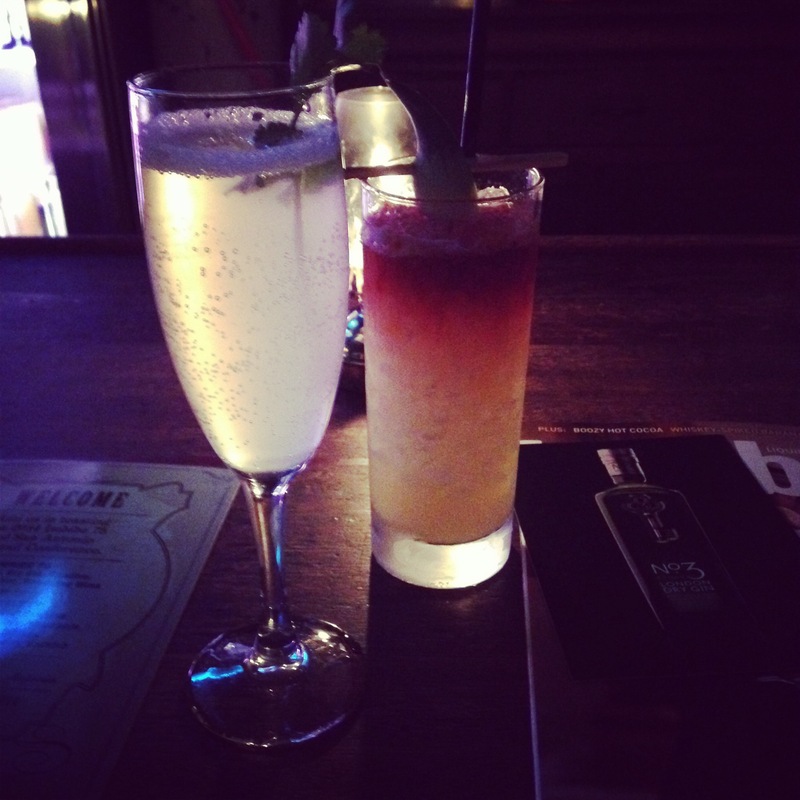 The first two drinks of the weekend happened at the Imbibe Happy Hour at the Esquire Tavern. These two drinks really stand out in my mind as being some of the best of the weekend but that could be because they were the only two drinks I had while completely sober. The Imbibe 75 was a take on the classic French 75 cocktail but with the addition of lemongrass and cilantro for a really fresh taste. The Come & Take It was made with Glenroth Select Reserve whiskey, ginger liqueur, pineapple, lime, bitters, and garnished with a Luxardo cherry. Both were excellent and the band that night was great. The Esquire Tavern should absolutely be a stop if you are ever in San Antonio. On of the things I was most excited about for SACC was to meet Wes Henderson and attend his class on the evolution of Barrel Aging. The class did not disappoint. Not only did I get an hour and half of hearing Wes discuss creating Angel’s Envy, his father Lincoln Henderson, and the changing field of barrel aging whiskey, I also got to try a selection of really fine whiskeys including Angel’s Envy cask strength and rye whiskeys. 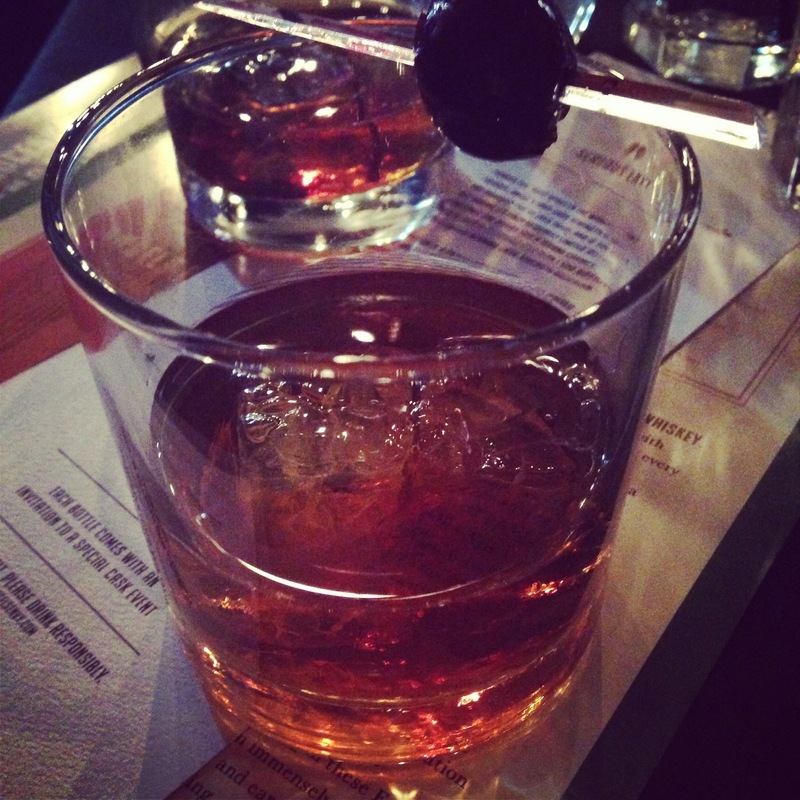 All of that and then they brought out an Angel’s Envy Manhattan. I would have normally thought that Angel’s Envy was too sweet a bourbon to use in a manhattan but this one was wonderfully balanced. I also got a chance to sit down and interview Wes Henderson for Charlie Tonic and you can hear that whole interview here. One of the embarrassing things for me was how often I attended an event with someone at SACC and only later realized just how big a deal they really were. Such was the case with my first class of the session, a home mixology class led by none other than Sasha Petraske, the man behind Milk and Honey and one of the leaders of the cocktail revival movement. I learned a great many wonderful tips and tricks for my next cocktail party and got to try one of his signature drinks, the Palma Fizz, made with vodka, lime, ginger, rosewater, and seltzer. I loved how the rosewater added a strong dimension of smell that completely changed the way the other flavors interacted. The Women Behind Bars was a seminar that looked at a history of women from both sides of the bar. 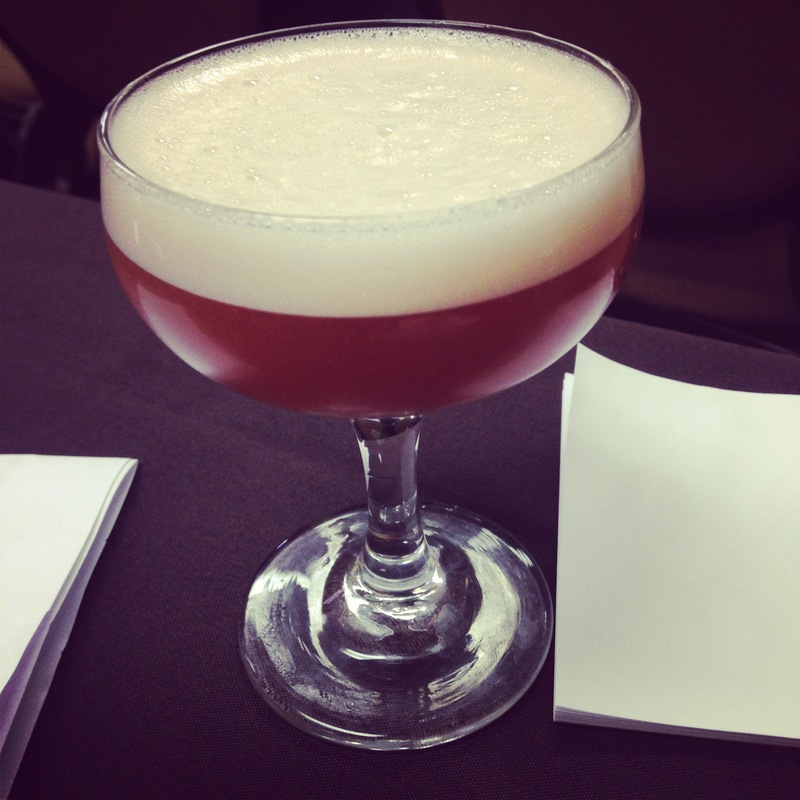 The session, lead by Ladies United for the Presevation of Endangered Cocktails (LUPEC) looked at women’s historic roles as tavern keepers, prohibitionists, customers, and bartenders while the audience sipped on a few vintage cocktails. The Pink Lady was my favorite of the two. Made with gin, apple jack, lemon, egg white and grenadine, it is a wonderfully sophisticated drink. I really appreciated how well prepared this cocktail was considering they were making it in such large batches. That foam head is not always an easy thing to perfect in a cocktail. Another memorably interview of the weekend was when Charlie and I sat down in the media room with Dushan Zaric and Jason Kosmas. These two legendary bartenders started Employee’s Only in NYC, which won best cocktail bar in the world in 2011, and have since gone on to create The 86 Co., a bartender-focused spirits company. If you still don’t quite understand why I was geeking out about this go watch the documentary, Hey Bartender, which features the two of them heavily. Having now had a cocktail made for me by these two, I feel as if I’ve truly arrived. You can hear that interview in Episode 109 of the Charlie Tonic Hour. One of the best parts of the evening parties, aside from all the free drinks, food, music, and dancing, was getting to try new spirits that are not yet available in Ohio or even Kentucky. This cocktail from Friday night’s event Texas Spirits Night, was one if just many gorgeous drinks featuring Texas-made spirits. Made with Red River Rye Whiskey, it was a simple cocktail. 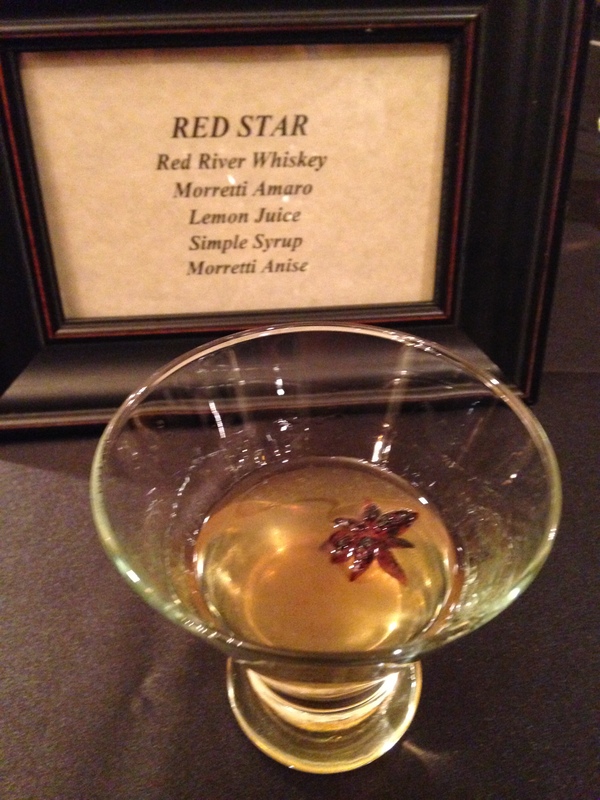 The anise and amaretto added sweetness without overpowering the whiskey and I loved the elegant little star floating as a garnish. Two of my favorite drinks of the weekend were not the kind you can drink. We attended two different events at The Brooklynite, a very hip bar near the riverwalk in San Antonio, and the drinks at both events were incredible. But at the after, after, party we attended there on Friday we go the chance to have our caricatures drawn by Dave Stolte. 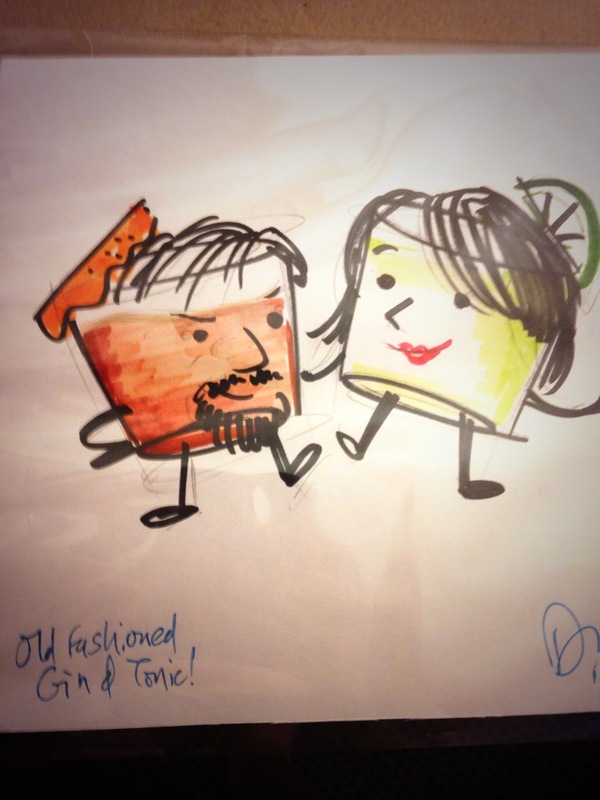 His book, “Home Bar Basics (and Not-So-Basics),” has been nominated for best cocktail book by Tales of the Cocktail and now we have a picture of ourselves as two of our favorite cocktail by him. It is one of my most treasured souvenirs of conference. So there you have it. I wish we lived in some kind of a Star Trek future where you could reach into the pictures I post try them all yourself. 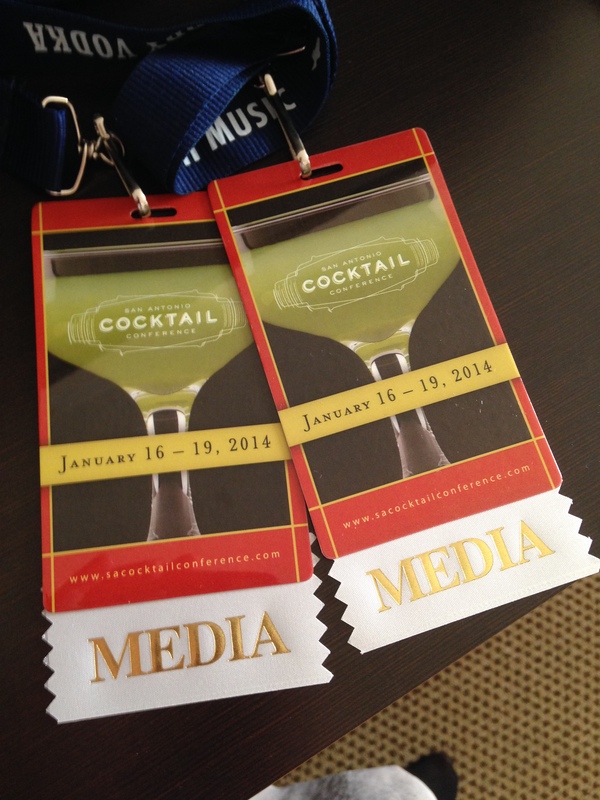 There were so many other amazing drinks and events from the weekend that I am leaving out. If you want to see and hear everything head over to www.charlietonic.com where you can hear all the interviews and see pictures from each day of the event. 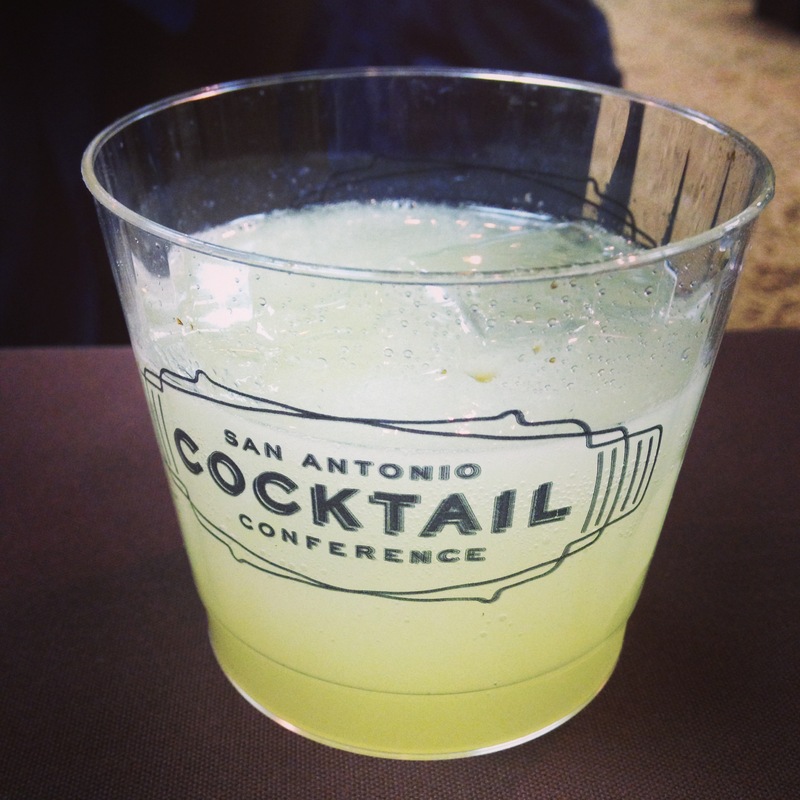 And if you are looking for a starter cocktail conference I can’t recommend San Antonio highly enough. It has a beautiful city, great weather, friendly people, and a weekend of amazing drinks. I am counting down till next year already. Previous Previous post: My days of being drunk are over, instead I’ll be rabbited!